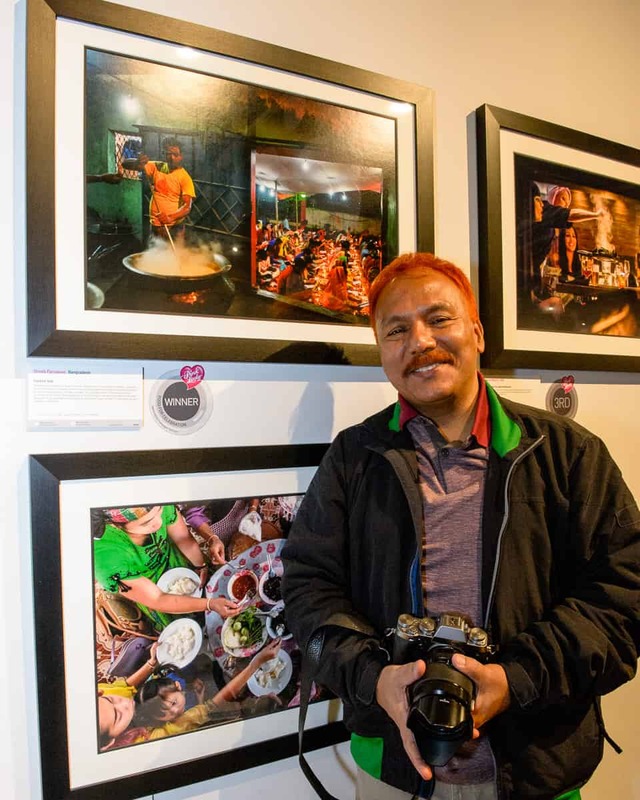 On Tuesday 25th April 2017, Bangladeshi photographer Shoeb Faruquee was announced as Pink Lady® Food Photographer of the Year 2017 for his image ‘Food for God’. 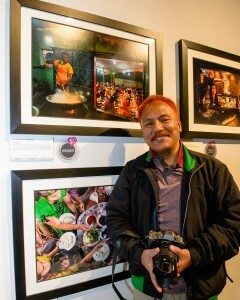 Shoeb’s image was the winner of the Food for Celebration category sponsored by Champagne Taittinger and, following the Judges’ dinner at the Saatchi Gallery in March, it was selected as the overall winner for 2017. For the Food for Celebration category we wanted to see images of festive, celebratory food from across the world. Whether it be Christmas, Divali or Chanukah, Easter, birthdays or weddings. Tables groaning with food, people eating special festive foods, or even preparing it. Talking of the winning image and of becoming a Finalist Shoeb said, ‘I am delighted to be a Finalist in 2017, I am always trying to shoot an image with a new message for our world. 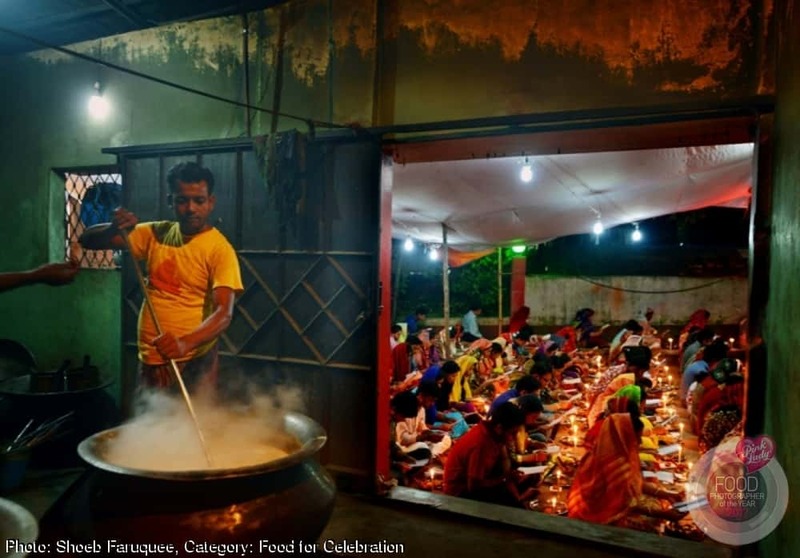 In the image the Brahman cook is cooking religious food for devotees but the devotion in the cook shows – it seems he is preparing food for God. Rajapur Lokonath Dham Chittagong Bangladesh is a praying and worshipping center of the follower and believer of "Baba Lokonath". This worshipping ceremony starts in the evening time and it continues for two hours. The devotees keep on fasting for 24hrs during this worshipping and they break their fasting after the prayer. It is a ghee light burning festival in the name of ‘Baba Lokonath’, the devotees pray with spiritual concentration for fulfilling their good wishes". Shoeb Faruquee is a self-taught photographer, born in Patiya, Chittagong, Bangladesh in 1960. He spent his early life in a village and later settled in Chittagong city and finished his science graduation from Chittagong College in 1982. His father Miah Faruquee is a Freedom fighter, veteran politician and a writer. He started photography in the early eighties and found his passion in photo art, then moved into photography on a full time basis from 1990.